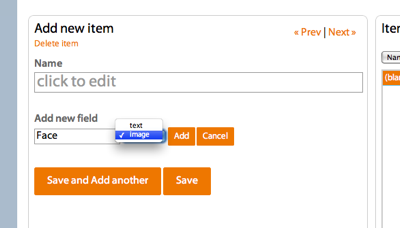 We've added support for profile pictures and image fields for study lists. This means that you can now study image-based subjects such as . . .
What kinds of images can I upload? PNG and JPEG image formats are supported. Uploaded files must be less than 2 MB in size. In the Basic Info tab, click the replace profile picture file chooser and select a PNG or JPEG file (it should end with a .png, .jpeg, or .jpg). How do I add image fields for study lists? When adding a new field on the Study List's item page, just select the image option rather than the default text option. Explore recent users who have public lists to share. This is now on the sidebar for the explore page. Next week we're focusing on adding image support so that you can finally memorize things like names and faces, maps and geography, and have profile pictures with Headmagnet. After that, we'll be finally updating the Tour page and adding a set of Frequently Asked Questions (FAQs). Its been about two weeks since the beta test began. Here are some recent updates and fixes, based on feedback from beta testers. Thank you for all who participated. Please continue to give feedback and invite your friends to use Headmagnet. Lists for everyone! : New users now get three starting study lists (Vocabulary, Birthdays/Anniversaries, and Favorite Quotes) created for them automatically. If you are an existing user and would like to get these lists, please just send a message. Darker text: Some of the gray text is now a darker shade of gray so that everyone can see them more easily. Show/hide descriptions for lists and modes: On the My Lists and My Head page, sometimes all those descriptions for lists and modes can get a little overwhelming. This preference allows you to toggle whether you want to see them. You can set this either from the Settings page under the Preferences tab, or through the checkboxes near the bottom of the My Lists and My Head pages. This is set to show descriptions as a default. Automatically add new modes to My Head: If this setting is checked, then any new modes you create will be added to your head (My Head page). This is now set to add new modes to your head by default. Safer field deletion: The "Delete Field" link which appears when you are editing a list's items will now show a confirmation before actually deleting a field, so that it is harder to accidentally click on that link and wipe out a field. Popular study lists: The list of recent study lists on the home or welcome page is now based on how many people have added the list to their head. Lists that qualify have at least a few items, and have not been edited for at least 15 minutes (so that people don't rush to your list while you are still in the process of editing it). Bug fix: The "Study" button on the My Head page now works right. Previously, it would just start a study session for the lists that someone else selected, rather than the lists you selected. We've got many more updates coming soon. Welcome to the public beta test! Hi everybody, thanks for taking the time to check out Headmagnet. We're currently running a public beta test for the next few weeks to gather feedback, test out features, and see how real people use the system. So please, send us feedback about what you like and don't like about Headmagnet, and features you wish Headmagnet would have. We'd love to hear from you. After the beta test period is over, you'll get to keep your accounts and your study lists. Headmagnet will still be available as a free service. Eventually, we'll add premium paid features that will make learning new material and retaining old material even easier. P.S. Remember to invite your friends as well!